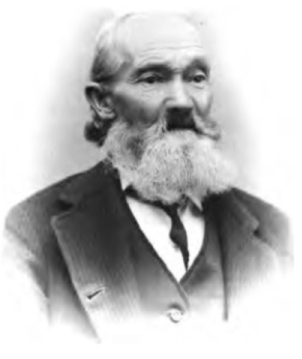 George Washington Sears, circa 1877. Trained as a cobbler, George Washington Sears left Massachusetts as a teenager to work, camp, and hunt his way through America’s western frontier. After settling in Wellsboro, PA, in 1848, Sears became one of the nation’s most popular chroniclers of wilderness camping, publishing his articles and books under the name of Nesskmuk, a Narragansett Indian who had introduced him to the natural world when he was a boy.